The items shown on the back are a few standard items available for use as kitchen and cabinet trims. 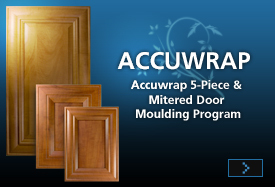 They are available as shown in the finishes indicated from Accuwrap or your nearest local Accuwrap distributor. Hundreds of other profiles are available on a custom basis. 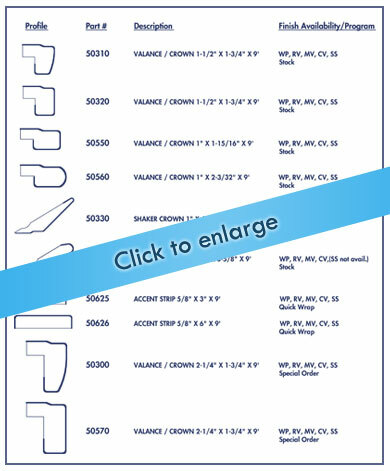 Please contact us for additional information on special order items.